Info: The AF1 PlayStation was created in conjunction with Sony's 10th Anniversary of the Playstation video game console. 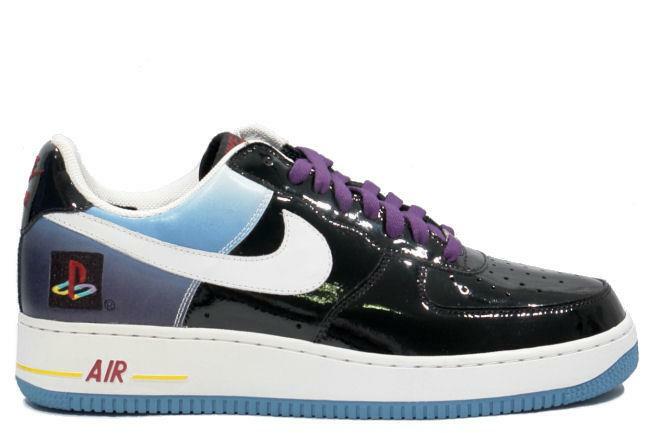 The shoe is comprised of black and blue gradient patent leather with the Playstation logo stitched into the heel and is numbered on the inner ankle. January 2006 friends and family release. Note: The size 10.5 is number 96 out of 150.